Millennials are spending their money differently from their parents and grandparents. Gordon Smith, chief executive for consumer and community banking at JPMorgan, gave a presentation on Monday at the Barclays Financial Services Conference discussing the spending patterns of millennials. JPMorgan is especially focused on this group, and we’ve written before about the bank spending big to land younger customers. 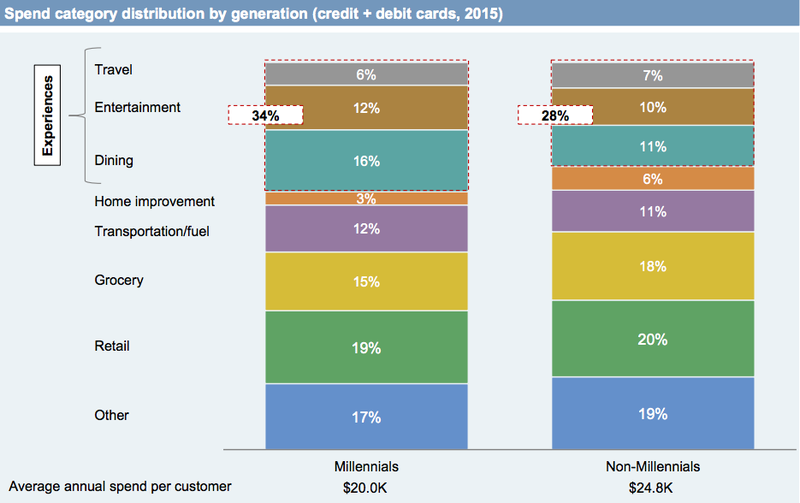 The chart below shows what millennials and non-millennials purchased using Chase debit and credit cards in 2015. To clear up any confusion, JPMorgan defined millennials as those born between 1981 and 1997, while non-millennials are those born before 1981. You’ll see that millennials spend a lot more on “experiences” — things like travel, entertainment, and dining. The spending patterns of the millennial generation are important, as they’ll be shaping consumer demand for years to come. 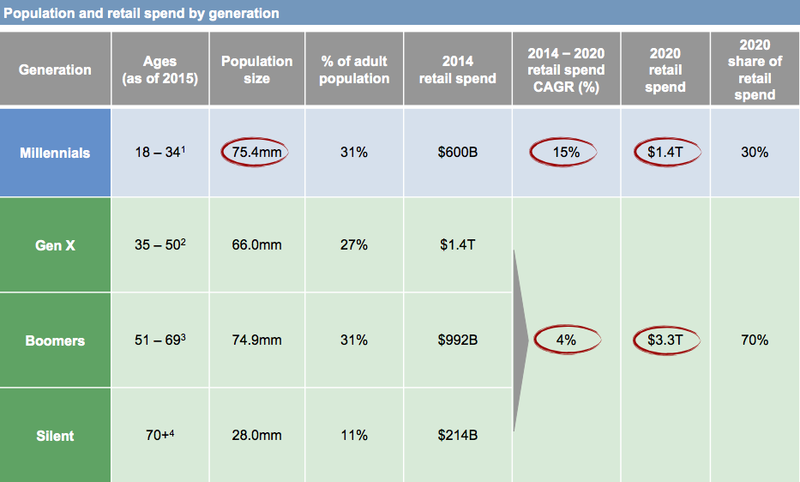 The compound annual growth rate in retail spending from this group is forecast to be 15% from 2014 to 2020, versus a 4% increase for those ages 35 and up.